Muscle car sales are declining, and for the first time in two years, the Chevrolet Camaro has outsold the Ford Mustang. The primary reason for this apparent bowtie takeover is ridiculous discounts on leftover 2016 model year Camaros as the 2017s come out. 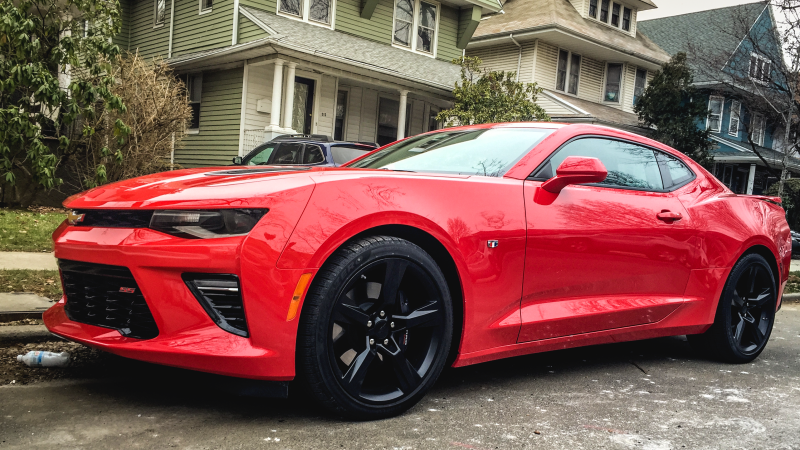 Now is a great time to get a new Camaro and save some money in the process. Maybe Chevy is beating Ford because the Cars and Coffee crashes are such a bad look. Maybe. But it’s more likely because new car sales are plateauing, less-than-practical muscle cars are probably the first casualties of that, and as a result General Motors is being more aggressive with incentives. Cheap leases, zero-percent interest, and up to 20 percent off! It is important to look at the details where it says “On select 2016 Camaros in stock.” That means that not all ‘16 Camaros will qualify for such a heavy discount and it usually only applies to the oldest models in the inventory within a certain region. If you look at some of the advertised prices, you might be able to do even better than six grand off your new Camaro. What kind of American would buy a Chevy Cruze when you can have a Camaro for under $20,000? That red one listed above is a six-speed manual with the 260 horsepower turbocharged four-cylinder. It might not be the quickest Camaro of the bunch, but still tons of fun for under twenty large and plenty of room in the budget for some mods. If the turbo four’s not punchy enough for you, we happen to think that the V6 with the RS package and 3-pedals is the best overall value in the lineup. You can have one of those and still spend less than $23,000 before taxes and fees. I know what you are thinking, but trust me when I say that there will rarely be a situation on your commute when 335 HP is not enough. But I get it. Enough with this four and six cylinder nonsense. This is America. If you are going to get a Camaro, it may have to be a V8. This 445 HP, manual transmission, black on black Camaro SS has an original MSRP of $46,447. It can be yours for $12,000 off the sticker price. That’s only $75 per horsepower, which is an incredible value compared to some other cars. And don’t forget you can still pick up the absolutely bonkers and track ready 2015 Z/28 for over $25,000 off the sticker price. Granted, this is the previous model that doesn’t benefit from the upgraded body style, but few will notice when all they see are your tail lights. This is the part where I tell you that the advertised prices may include rebates that not everyone qualifies for, and that you should always get a quote in writing that details applicable pricing for your situation including all taxes and fees. But if you’ve been itching for a Camaro, but weren’t sure if your budget could make it happen, now may be your time to act.